TIDAL Rising artist Sammus (born Enongo Lumumba-Kasongo) is out today with the video for “Qualified,” off of her most recent record, Pieces in Space. 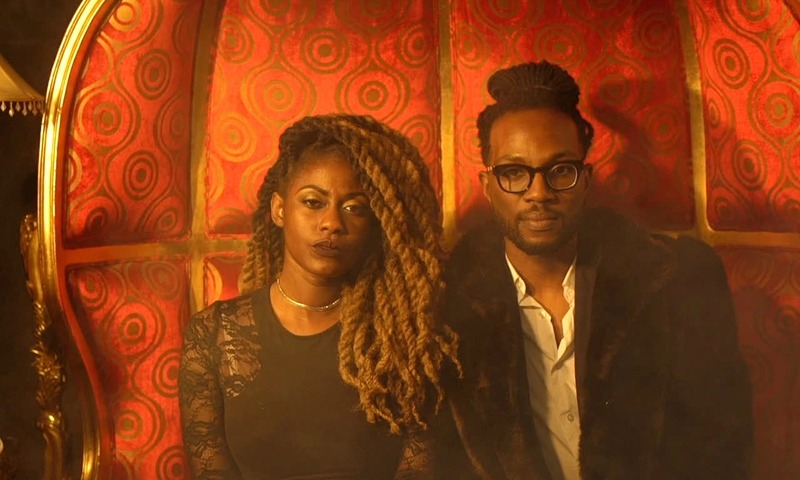 Featuring rapper/Comedy Central producer Open Mike Eagle, the video marks the kick-off to Mike and Sammus’ upcoming tour. Read on for Sammus’ thoughts on the video, song and tour (plus tour dates in your city). On the video… ‘Qualified’ is my favorite song off Pieces in Space so I couldn’t be happier that it finally received the video treatment! The video, which was directed by Alice Plati and features my real-life partner Lanre Akinsiku as my love interest, is about capturing some of the intimate spaces that become the best breeding grounds for doubt and anxiety, but also joy and comfort. On the song… ‘Qualified’ is about imposter syndrome. After touring with a band called the Doubleclicks in 2015, I fell in love with a song they wrote about imposter syndrome and wanted to explore what that meant for me. I kept coming back to the word ‘qualified’ because it felt like I could capture the absurdity of imposter syndrome and our expectations of ourselves by applying cold business language like the word ‘qualified’ to a discussion about very fluid concepts like love and creativity. I also wanted to riff off of a song from one of the song’s guest features, Open Mike Eagle, titled ‘Qualifiers’ in which he talks earnestly about his qualifications as a human, as a father, as a friend. On the tour…I decided to call my upcoming August/September tour The Qualified Tour because, in many ways, joining two of my biggest musical inspirations on tour illustrates that I am in many ways ‘qualified’ as an artist. Right after I dropped my first full-length album back in 2012 (M’other Brain) I ended up opening for Mega Ran and Open Mike Eagle at a very small show in my hometown of Ithaca, New York, so it’s crazy to me that I’ll now be accompanying both of them nationally on tour. It’s a reminder to me that growth is real, that I could take this thing that was once simply an escape from my daily anxiety in 2012 and turn it into a full-time endeavor.